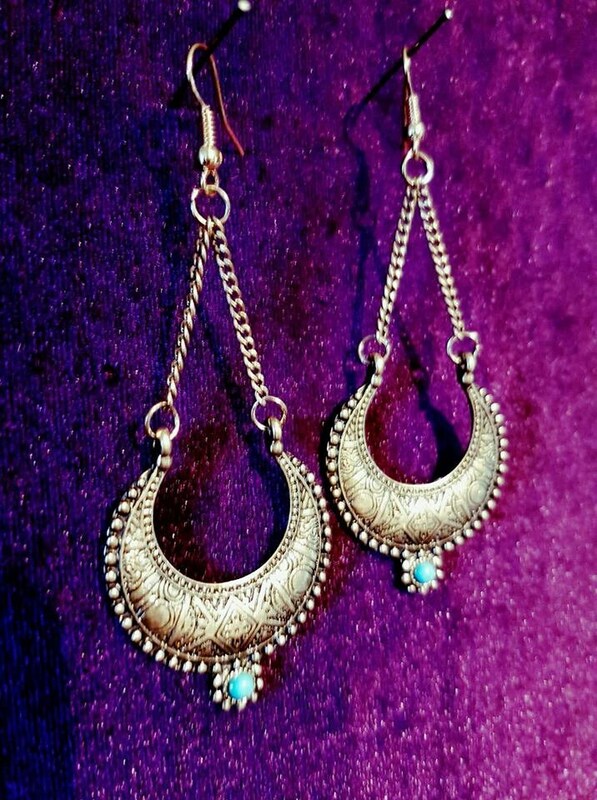 Ethnic Crescent Moon Indian Earrings. 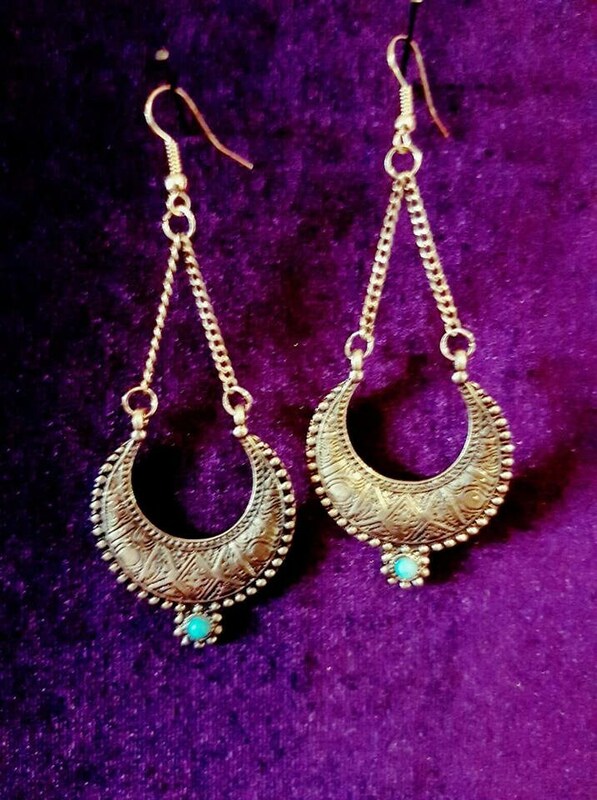 - 6.5cm long, bronze colour earrings. 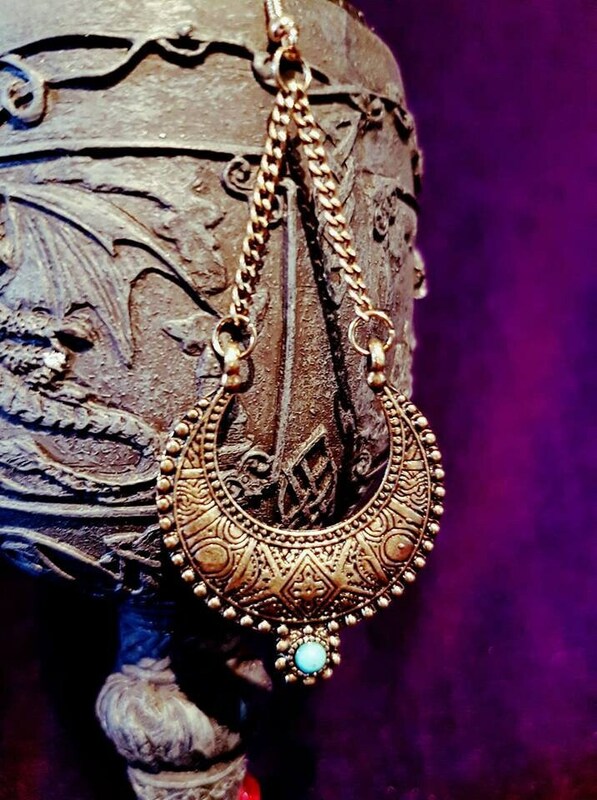 - Mini turquoise stone at the bottom.